In the XCode 4.2 beta, MainWindow.xib is no longer included by default in some project templates. This means that you have to get your application to work by writing some code, using another method, or by manually reconstructing MainWindow.xib. This post shows the latter. Let’s get started. 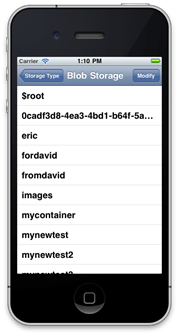 If you create a new project in XCode 4.2 beta, and choose the Empty Application template to start from, change nothing and try running it in your iPhone 5.0 simulator, you will see an empty – black – screen. The only thing you get from the template is an xAppDelegate.h and .m. We will now reconstruct our own MainWindow.xib, to get started with development the way you’re used to. So the next thing we do is add a New File to the project.Â Choose iOS > User Interface > Empty as template. Next, choose iPhone, next give it the name MainWindow (.xib will be added automatically). By the way, the name of the file is not very important, but it’s nice to choose MainWindow, because that’s familiar. Select the new File we just created. What we have now is an empty design surface, in what used to be Interface Builder. Here we’re going to change some things. Find Object in the Library and drag it onto the Objects pane on the left. Change the class of that Object to the xAppDelegate class that was created by the template, you might also want to clear out the “Object” label. Add a Window to the Objects pane on the left. Control-Drag from the delegate outlet of the File Owner to the xAppDelegate object. Control-Drag from the window outlet of the xAppDelegate to the Window. Just for this demo, I’m adding a label to the window. We’re not done yet, but we’re almost there. Navigate to the project, and in the Summary tab, select MainWindow as the Main Interface. I hope this helps to understand exactly how an iOS app starts. The next thing you should do is add a ViewController, and push it onto the MainWindow. I’m not going to cover that here. Please leave your feedback in the comments. 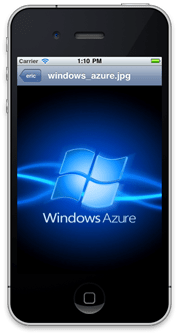 Yesterday Microsoft announced the availability of an iOS specific SDK for Azure development. It’s great to see that Microsoft is supporting iOS devices. Recently also iOS support for the Bing Maps API had been announced. There’s great momentum going on. The ideal time to jump on the train. Find the original announcement on the Official Microsoft Blog. You can get the Windows Azure Toolkit for iOS – even all the source code – on github. Update: the easiest way — in my opinion — to consume the RestFull Azure API’s is using RestKit. A while ago, I wrote about my VLAN setup for the Telenet local network. So it eliminated the use of an extra router in my home, it is actually built into the modem itself. It supports 802.11N, so it is way faster than the one I had. The speed is really great! In my home, I’m using 200Mbps Powerline Ethernet boxes to transmit the signal without the need for other cables. I have a switch under the tv, to get network to my XBox, I have another switch in the other corner of the room to get the network to my printer and PC. The laptops use wifi (duh) at equal speed as the wired network. I don’t really understand yet how Telenet actually achieves this setup, because devices behind the modem get an internal IP, in the 198.168.0. * range, while the digicorder still gets an IP in the 10.166.179. * range. I should sniff my local network to really know what is going on. I will do that if I have a little bit more time. For the moment I’m just enjoying the Internet in high speed. Note that the managment UI for the modem is reached through mijn.telenet.be, which is kind of nice. This means that they can remotely manage my modem/router. I don’t really mind doing that myself, but it’s nice to know they can help lessÂ knowledgeableÂ users. So don’t sit around, pick up the phone and make an appointment with Telenet today, to upgrade your internet experience for free. I didn’t have to pay activation or installation costs at all! The first thing I do is create an image with a <img> tag. Next I import the jQuery library from the Google CDN. In the fullbg function I first find the image and get it’s height and width. I do the same for the window. Then I use the size of the window to set to size of the image using an inline css style that I apply dynamically with the jQuery css function. In between I make sure to keep the original aspect ratio of the image, and smartly resizing it to always fully fit the window. In the style, also the position and z-index are changed, so that the image is positioned underneath the content as a wallpaper or background. I published the plugin on wordpress.org, so it should become available directly from the wordpress admin console soon. But if you can’t wait, you can download it here or here as well.